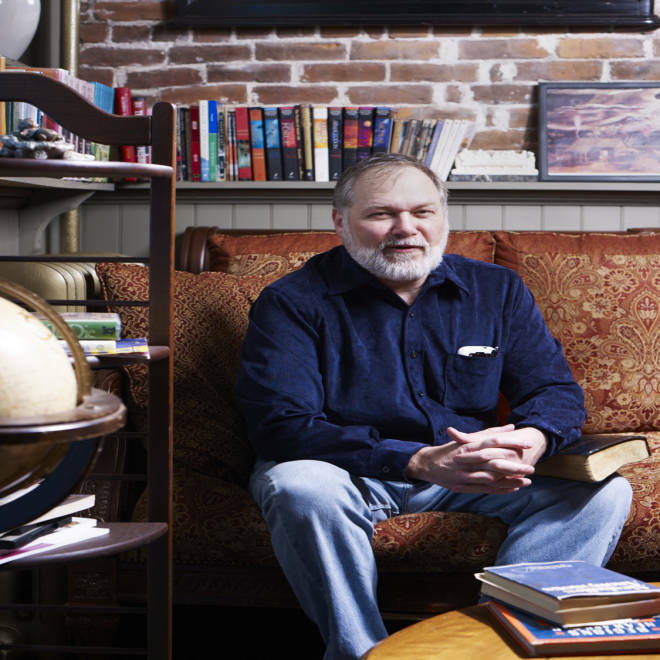 Scott Lively, a pastor in Springfield, Mass., is facing an unprecedented lawsuit that alleges he persecuted gays in Uganda, committing a "crime against humanity," even as he takes credit for anti-gay legislation in Russia. U.S. pastor Scott Lively speaks before a Watchmen on the Walls conference in Novosibirsk, Russia on August 17, 2007, warning of a widening global clash between "Christians and Homosexuals." At a Watchmen on the Walls conference in Novosibirsk, Russia in August of 2007, U.S. pastor Scott Lively tells the crowd that everything wrong with America can be traced to "the homosexual movement." It’s unclear where Lively gets his virulent science, since study after study suggests homosexuality begins with biology not abuse, but his political strategy is easy to trace. It’s an export straight from the American culture wars of the 1990s, when Lively was communications director of the Oregon Citizens Alliance, then the largest anti-gay political group in America. OCA pioneered the idea of criminalizing gay advocacy, convincing more than a dozen Oregon suburbs to forbid anything that may “promote, encourage or facilitate homosexuality” — much as Putin has done in Russia. Lively — who calls himself the “father” of Uganda’s anti-gay movement — also shared the first sharp details of his work in Eastern Europe and responded to the rise in hate crimes that seems to follow him around the globe. He landed in Vladivostok, Russia’s largest port on the Pacific Ocean, boarding a train for a 22-hour journey north to Blagoveshchensk, a river city on the border of China. He recalled feeling “just like Dr. Zhivago! Red velvet curtains, a samovar at the end of each car, passing through endless birch forests.” For 10 days Lively used “Blago” as a hub, shuttling in and out of nearby communities, shouting Paul Revere-like warnings of a gay invasion. 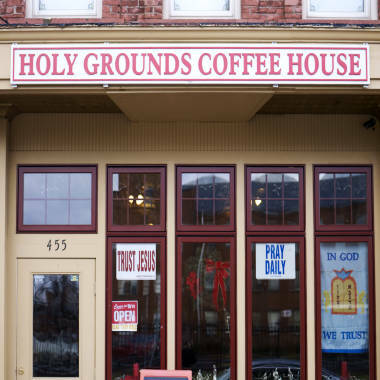 Holy Grounds Coffee Shop in Springfield, Mass., where Lively's followers gather. Abiding Truth Ministries, Lively's church, is dedicated to combating what he calls "the homosexual agenda." Regardless of whether Lively inspired Putin’s crackdown, he’s been accused of inspiring violence against gay people. He says he only preaches compassion – “love the sinner, hate the sin,” he likes to say – and although he gets blamed for it he didn’t actually support Uganda’s proposed death penalty for “aggravated homosexuality.” He believes gays should be pushed from public life, their “recovery” supported in private. And yet where Lively’s message goes, violence seems to follow.